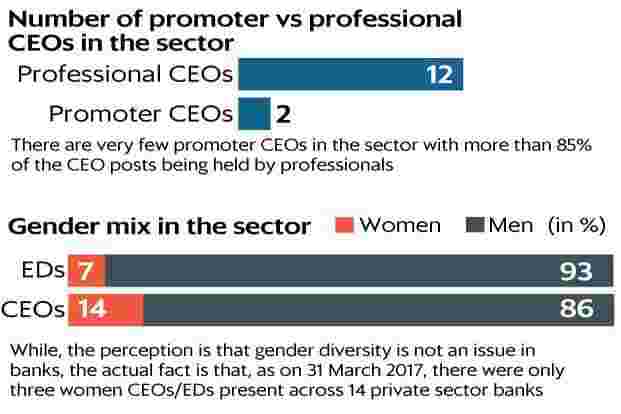 ICICI Bank CEO Chanda Kochhar, who is embroiled in a Videocon loan case, and Axis Bank MD Shikha Sharma, who has decided to cut her fourth term at the helm to just six months ending 31 December 2018. Private sector banks and their boards have been in the news for the past couple of weeks. 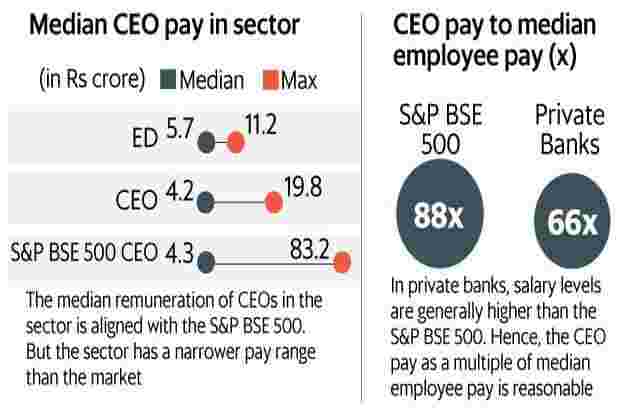 In this context, Mint and IiAS train the spotlight on private sector bank CEO remuneration. Axis Bank Ltd, City Union Bank Ltd, DCB Bank Ltd, HDFC Bank Ltd, ICICI Bank Ltd, IDFC Bank Ltd, IndusInd Bank Ltd, Kotak Mahindra Bank Ltd, RBL Bank Ltd, The Federal Bank Ltd, The Karnataka Bank Ltd, The Lakshmi Vilas Bank Ltd, The South Indian Bank Ltd, Yes Bank Ltd.
■ Data has been sourced from annual reports for the S&P BSE 500 companies and compiled using IiAS’s proprietary pay analytics platform, comPAYre. 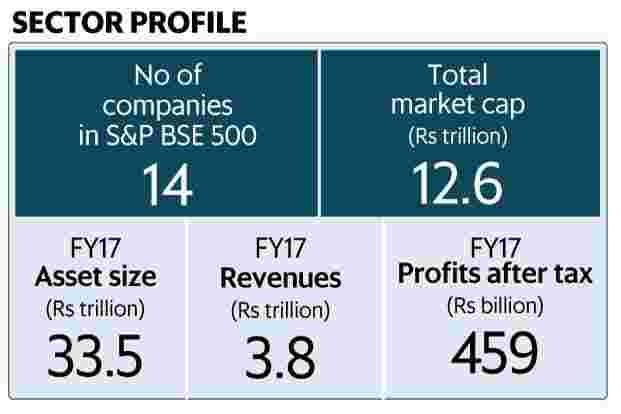 ■ Data pertains to CY2016 or FY2016-17 (depending on nancial year-end for respective companies). 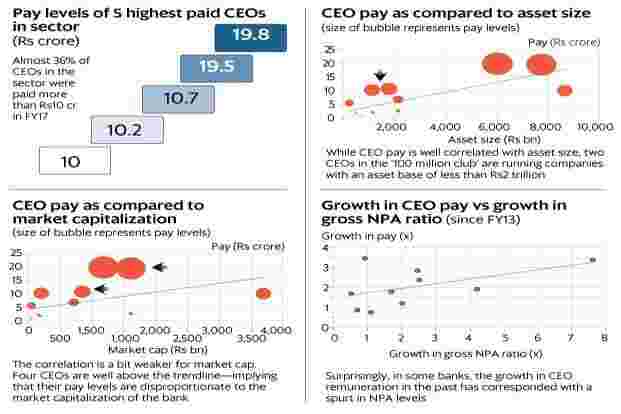 This is the third of a multi-part series on CEO pay compiled for Mint using IiAS’s proprietary pay analytics platform, comPAYre. Over the next few weeks, IiAS will be covering pay trends across key sectors in the market. 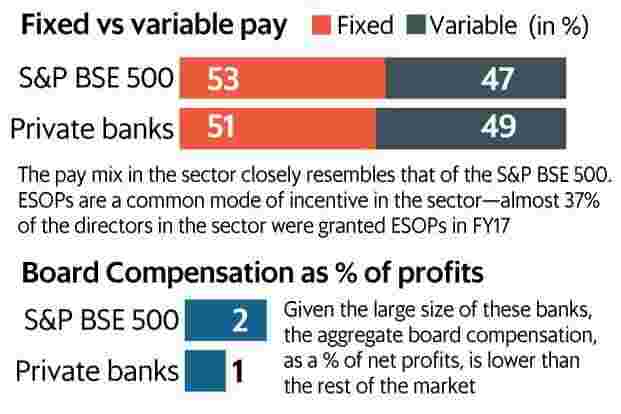 This piece is focused on pay levels in private sector banks.